@nathanallotey Thank you for this! Now, how do we avoid burnout while getting our #hustle on? I’m all for hustling to reach your goals, as a matter of fact I believe your goals will not come true unless you hustle. One danger to be cautious of in the midst of your hustle is burnout. There is no way you can constantly be in hustle mode 100% and be 100% efficient. At a certain point in time, your level of effectiveness will decrease until you take the time to rest and recharge so you can continue your hustle journey. You need to rest and sharpen your mind, overworking will only injure you. I have a good friend named Jaclyn and we both went to graduate school at the same time she went to Texas A&M and I went to the University of Houston. We both had a different approaches to studying for tests. Jaclyn would say: “I would rather have a full night’s rest so I a well rested for the exam rather than cram all night to get extra knowledge.” I on the other hand was on the polar opposite, I believe that you should use as much time as you have and pulling an all-nighter is another opportunity to take in as much information as you can. When test day came Jaclyn would walk into her test well rested and event if she didn’t know the answer she could think logically and arrive at an answer. Because I stayed up studying though I probably looked over more information my memory recollection was spotty and my ability to think through was hindered because I was so tired and sleepy. How does this relate? Simply put overworking led to burnout and my mind was not at optimal performance because I overexerted myself. As a creative with business goals, you will need time to take a step back and rest your mind. Similar to working out, if you want to progressively get stronger you will have to take at least 1 day off to give your muscles a chance to recuperate, your mind works the same way. Be proactive in scheduling time off so you can recharge and get back to hustling towards your goals. If you are always busy then you will start looking for ways to be busy. I have fallen victim to this many times. 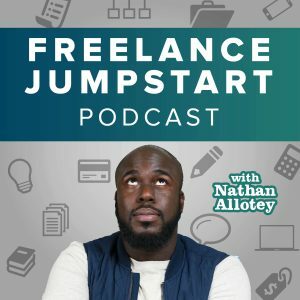 When I first started my freelance business I was working a full-time job and at night, I went to graduate school courses in pursuit of an MBA. All of this while trying to maintain a social life as well. Time was valued greatly because I didn’t have much time to spare. I remember saying to myself once I finish graduate school I’ll have much more time to do what I want. I finished graduate school in Fall of 2013 and to this day, I am still as busy as I’ve ever been. What happened was something just took the place of grad school once I finished. This has something to do with how I view my time. I viewed my time as something to be filled. If I didn’t fill up every hour and every minute with something to do I felt like I was wasting time and would begin to feel guilty about it. How can I go to the movies, talk casually on the phone or hang out with friends or rest when I have client projects to do and I need to build my business? Your schedule is not something to be filled, it is something to be protected. You can always make more money, more products, and take on my clients however you cannot make more time. For this reason, guard and protect your time. I no longer feel the need to fill up my schedule because I now know that free time is okay as long as I am still able to reach my goal within my target deadline. Take a break after each project. You need time to reflect upon your progress. This time, must be scheduled. Resting will allow you the ability to see where you are wasting time and being inefficient. You’re going to really have to be honest with yourself and ask “why have I not built in rest into my project timeline?” Is it because you have that many clients, you want more money or because you really have a fear of failure? Whatever the reason is I would like to challenge you to schedule rest for each project you take on. This means you will have to account for rest even in the midst of the project. Rest is so important that I would even venture to say that after each project or client you work with you should dedicate at least a couple of days to a week of rest after dealing with a project. For example, if you’re doing web design and a project is going to take you one month you need to dedicate at least a week to rest after the project is completed and delivered. If you are a photographer take photos on the date of the project but also spend some time editing those photos and then deliver the finished product to the customer and take one to three days to relax rest or event add the best photos to your portfolio. Now I recognize that there are times where you will be busy and you will probably book clients in succession but why are you putting so much work one after the other? If you’re having difficulty scheduling rest as a part of your workflow, chances are there is then this will reveal there’s something else you are not dealing with. Are you looking to gain more income by booking more clients? If so, the solution is not more bookings, the solution is to revisit your pricing. 2016 is going to be a great year take the time at the beginning of the year to set a standard of rest going forward.